With increasing sales to hospitals and pharmaceutical companies, the Optima range of mobile shelving is proving itself well beyond the usual cold room user market. 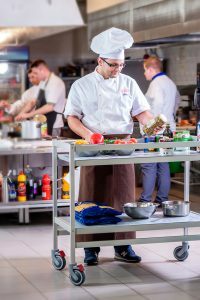 The option of lockable wheels (trolley version) is also in big demand for event caterers and commercial kitchens. The added choice of sloping shelving for display use has delivered another surpise, proving a hit with many food retailers including greengrocers and even chocolatiers! Our new and improved frost heave heater mats offer much more than frost heave prevention! With underfloor monitoring via web interface, any abnormal temperature rises can be detected plus there are additional health and safety benefits for cold room personnel. Read more here. Easy self-assembly, walk in cold room package (incl monoblock and shelving) special offer, purposely put together with chiller and freezer options as a package for end-users and contractors in the catering and medical sectors. The Ministore is well established in the UK and this is a great opportunity for customers to get ahead in 2015. Order and secure quality, walk in cold storage (chiller or freezer) for an excellent price. Bavaria in October can mean different things to different people. For some it might be the world-famous, annual Munich Oktoberfest but for us, as dedicated refrigeration and cold room specialists, it meant travelling to Bavaria after the beer festival and taking part in some of the most exciting refrigeration discussions of 2014. Read our Refrigeration Systems News From Nuremberg report. 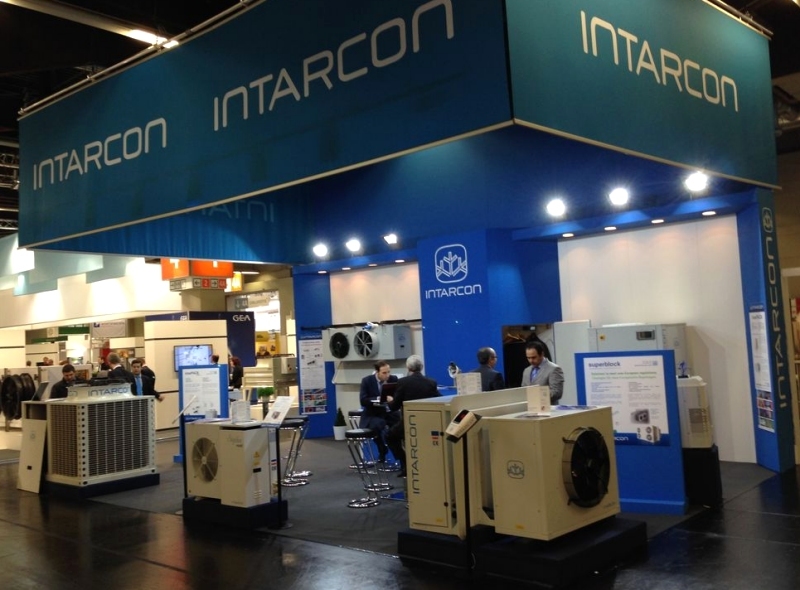 As the exclusive UK agents of Intarcon refrigeration systems, we were delighted to be in Nuremberg, Germany for one of Europe’s biggest refrigeration industry events lasting no less than 3 days. We were able to demonstrate some of the best refrigeration equipment currently on the market and were privileged to have some of the most experienced refrigeration experts on hand for one-to-one discussions. It proved to be a great opportunity for many visitors to the Intarcon stand and we were delighted to be able to help with so many serious commercial and industrial refrigeration needs. Click here to read more on our cold rooms blog about how we approached this exciting event. A detailed post-Chillventa post will be coming soon! Some great news for cold room customers! 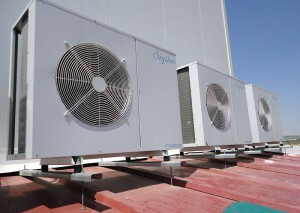 As a leading cold room supplier we are committed to providing a premium quality product. This applies to our cold room panels and also to our range of insulated doors and cold room accessories. We have an exciting new range of insulated sliding doors for which CE Certification was recently awarded. What does this mean? Our cold room customers in the UK and Europe now have an even greater choice of options and that can only be good news for their cold storage needs. Even more news! 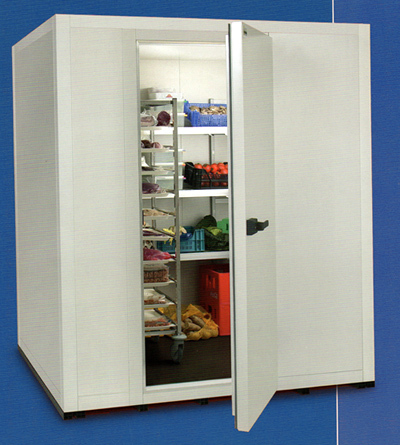 Our small cold room the Ministore is now available with an external height of 2400mm. Moving across to our larger, standard camlock commercial cold rooms these are now available with 120mm and 180mm thickness cold room panels. These latest developments mean our customers can enjoy even greater confidence in our ability to provide them with a cold room specification to meet their requirements. So if you are looking for a cold room, whether small or a standard commercial size or even a more complex custom requirement, contact us today. Our Technical Director Allen Strange has many years of expertise in the cold room industry making us the people to talk to when it comes to cold rooms! The first of 13 single storey, low cost modular homes for the Caribbean island of Curacao. 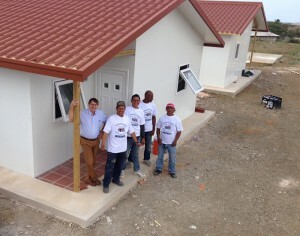 The project was initiated after a meeting with Curacao local government in order to fulfil a housing need on the island. The key element of the project was to deliver a combination of quality with affordability and we knew we had the answer with our specialized system using polyurethane injected metal sandwich panels. Previous success with this system in a number of countries meant that we could design and build what was required with confidence. 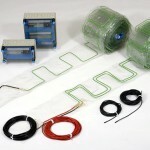 The project set-up would be short and assembly relatively easy. Site clearance and ground preparation complete, we have just built the first of 13 single storey units which offer a high standard of comfort but with low maintenance. It is also the only project in the island to have its own sewage treatment plant (opposed to the usual form of septic tank).